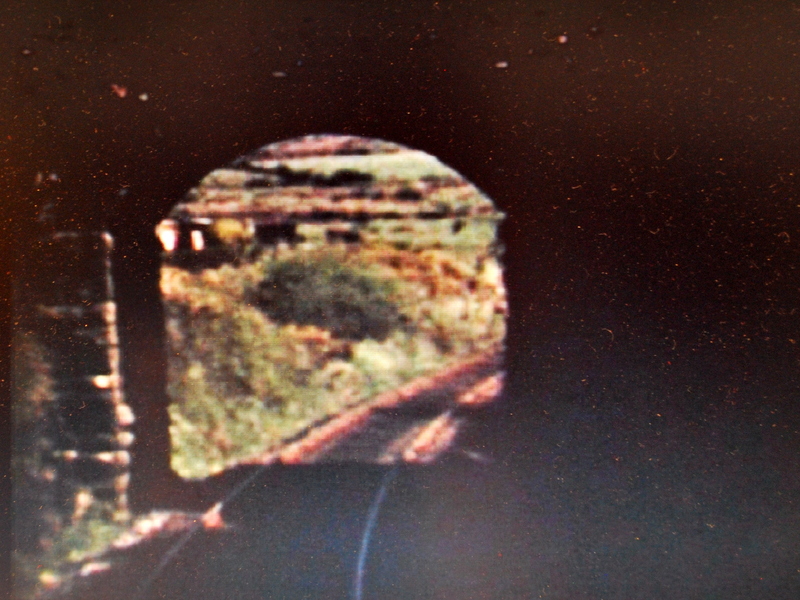 A few stills captured from the recent DVD’s on the West Cork Railway, published by Brian Baker and Michael Patterson. If you would like to buy a copy, please follow this link. I am grateful to the Brian and Michael for allowing me to publish these images, which I also used to illustrate a recent (31 July 2011) heritage walk around the town on a sunny Sunday afternoon with the Bantry Historical Society. Road overbridge in townland of Seskin, about half way between the Carrignagat Aqueduct and the Knocknamuck Culvert. There is no trace of this structure today, except for a hump in the road. For those who know Banty, the road to the Boys’ National School is very near to where this bridge was. 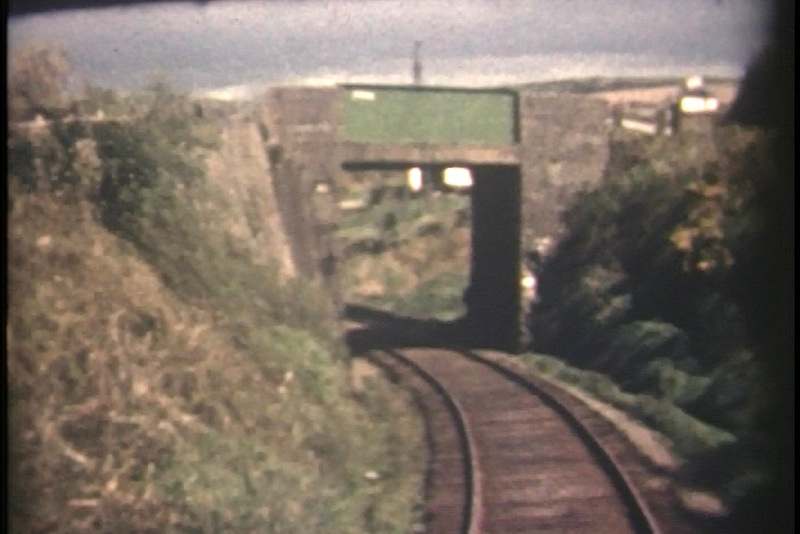 Constructed in the typical Cork & Bandon fashion, with concrete abutments and a green-painted iron span. The house visible top-right is still standing, but a reservoir to the right just after the bridge is no longer present (its construction date and purpose is somewhat unclear). The exact location of this bridge can be found on the 25″ OSI maps. 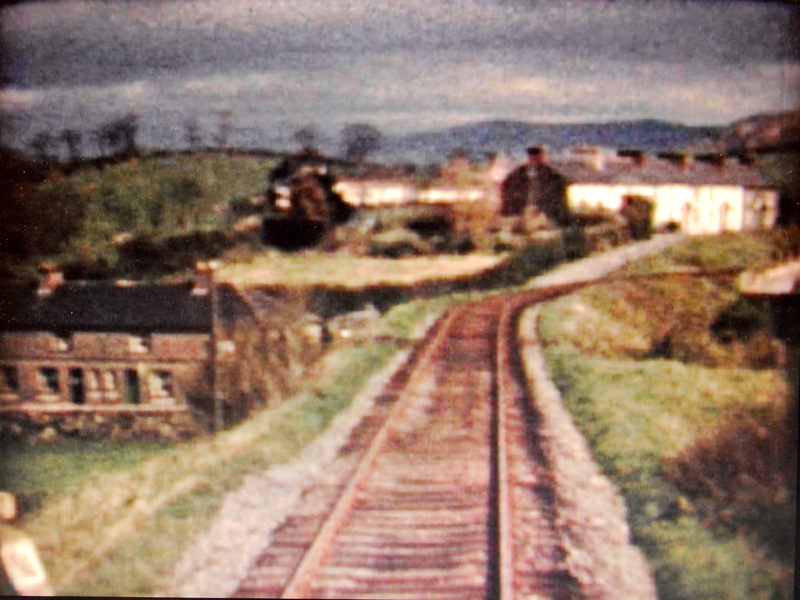 This shot shows a level crossing house on Church Road in the Town Lots area of Bantry. It subsequently became part of a coal yard and is now derelict. 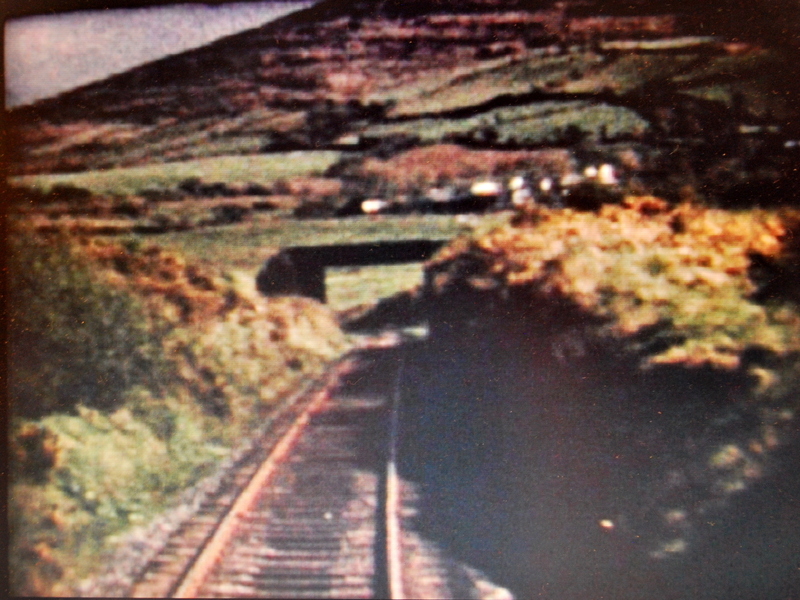 The train here is descending into Bantry through a substantial cutting in the townland of Knocknamuck. The road has since been straightened and the track obviously removed, but the house still stands, though it is in very poor condition. Last year I published some photos taken both inside and outside this house, built in the typical Cork & Bandon way (there are many similar structures still inhabited throughout West Cork). Here is the OSI map link. View from the Glengarriff Road Bridge, commonly called the Black Bridge, looking east. 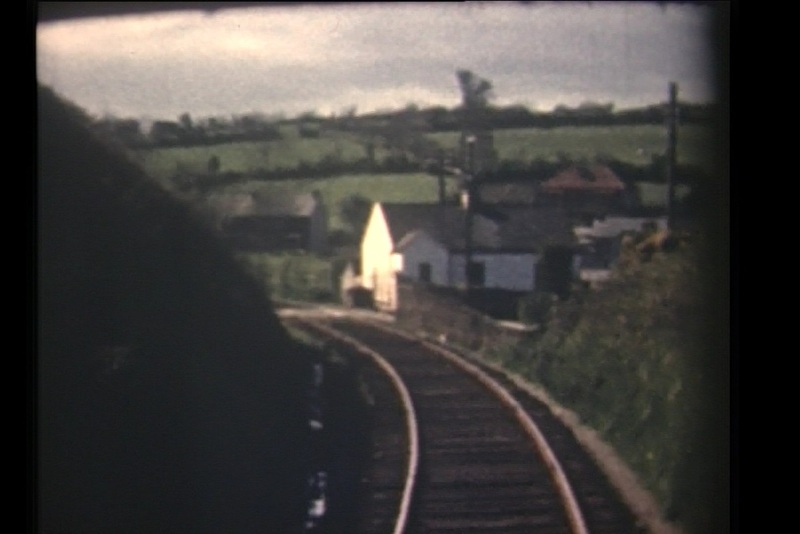 Perhaps the best impression of Bantry in the early 1960s. The river to the right has since been covered over, though it passed beneath the railway by means of a culvert which I photographed several months ago. 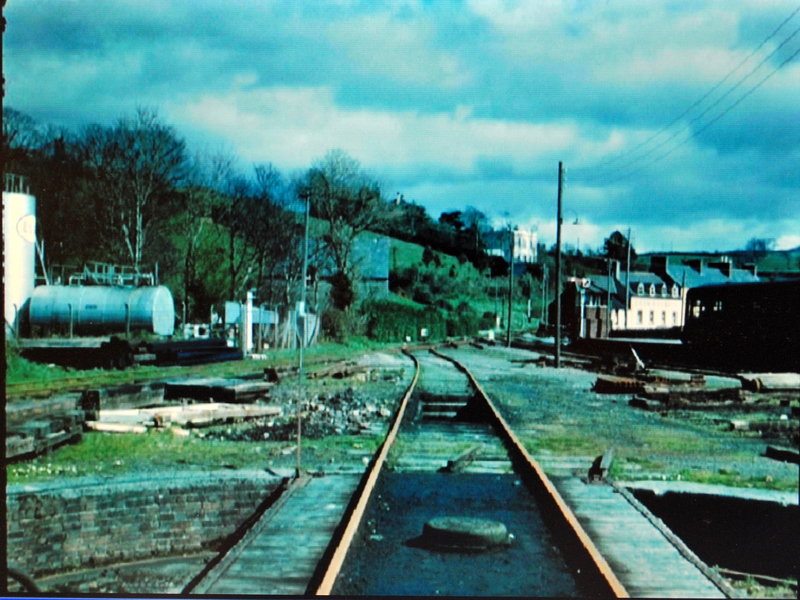 I also published a photo of the Glengarriff Road Bridge, thanks to the Bantry Historical Society. The location is Town Lots again, and here is the OSI map link. 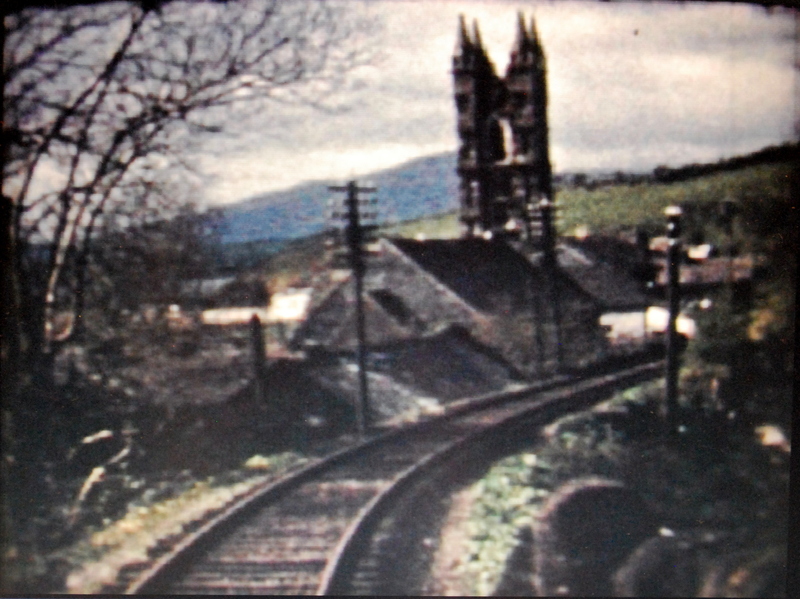 View of St Brendan’s Church, from the railway embankment near Marino Terrace, in the Town Lots area of Bantry. There were two rail overbridges in this area – the abutments still remain. Here is the OSI map for the area. Approaching Bantry, near the turn-out for the old Bantry Hill Station (in use 1881-1892). There is a 3/4 milepost visible bottom left, and in the middle centre the darker areas of the track indicate the Kilathfineen rail overbridge, for which only only abutment now remains. 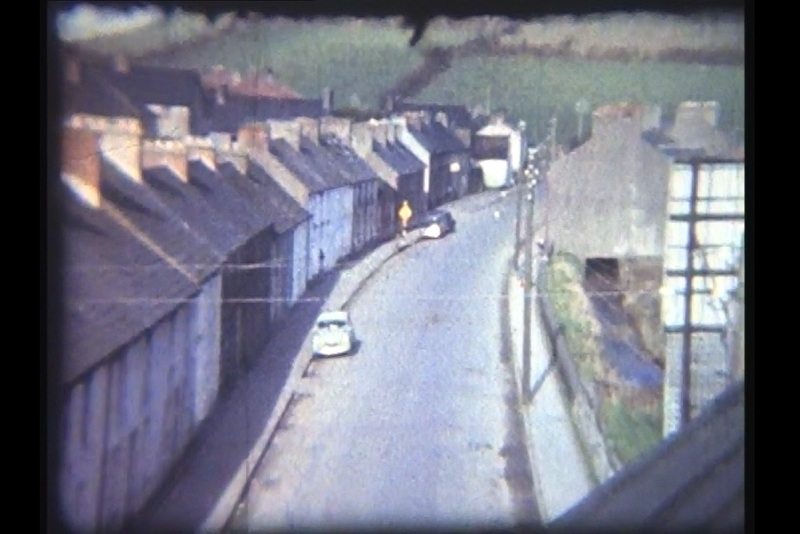 People familiar with Bantry will know the tight turn at the end of the row of houses visible left. The Hospital is to the right of this image. Here is the OSI map for the location. A road overbridge near the Hospital, of which no trace now exists, except for a hump in the road at the Hospital roundabout. It appears to have been constructed (somewhat unusually for the 1892 extension to Bantry Town) of cut stone. Quite near the Carrignagat Aqueduct. Here is the OSI map for the location. Carrignagat Aqueduct in the distance, taken just after the shot above of the road overbridge, with Knocknaveagh (Seskin) Hill in the distance. I have previously published this photo, as part of a series on the Aqueduct and its restoration. Here is the OSI map for the location. 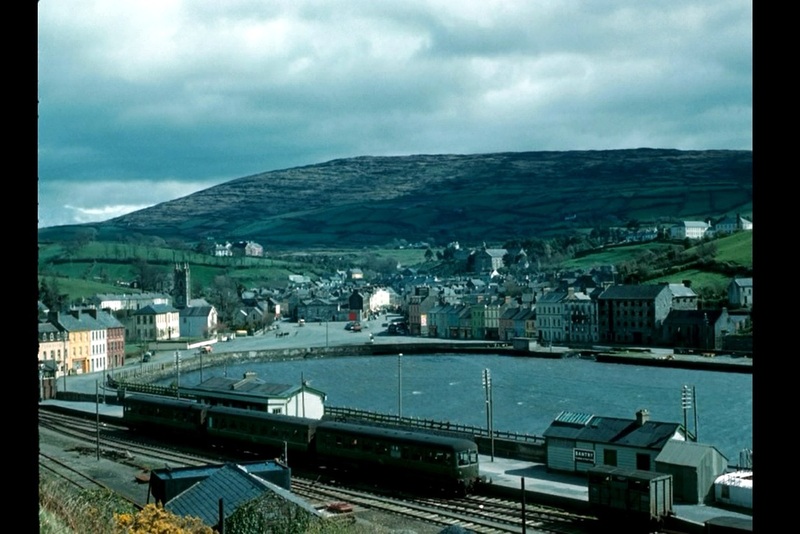 Bantry Town, showing the railway station. The engine shed with its water tank can be seen bottom left. Here is the OSI map for this and the subsequent images. View from the Engine Shed, showing the turn-table (marks for which can still be seen in the car park surface). 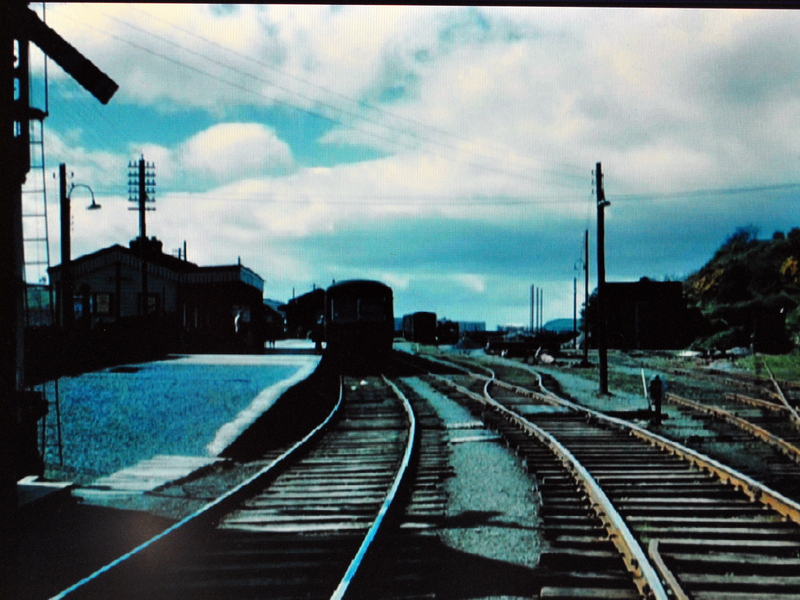 Bantry railway station, looking west. 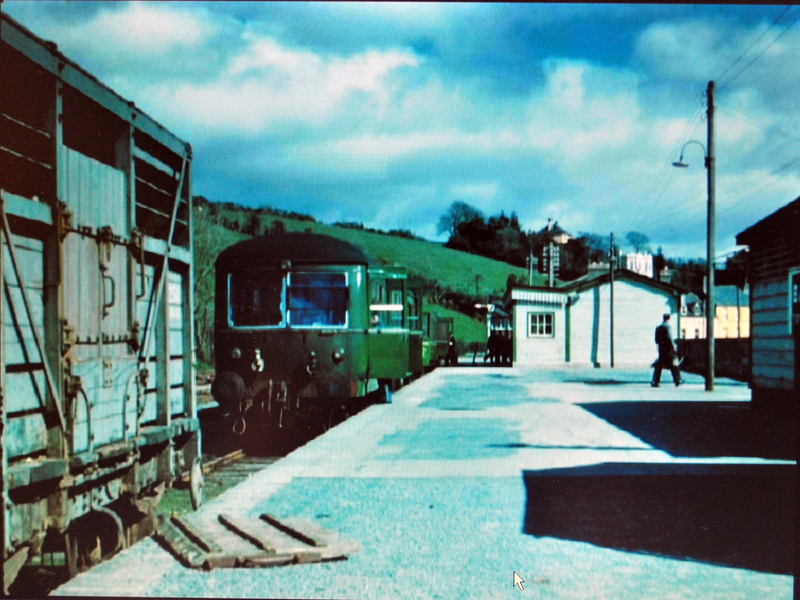 Bantry railway station, looking east.